Thank goodness! We couldn’t be happier. I couldn’t be happier. Happy is what happens when all your dreams come true. These lines have been playing in my head for some time now. It is because we finally watched “Wicked“! My friend, Gail, and I have talked about watching it but when I checked the schedule, March 12 was closing day and I could not find seats I could afford. Good thing the run was extended for another week and for some reason, some seats opened up (or maybe I just did not know how to book). We got Gail’s sister to buy the tickets for us. We were thrilled to get tickets! Thank Goodness! 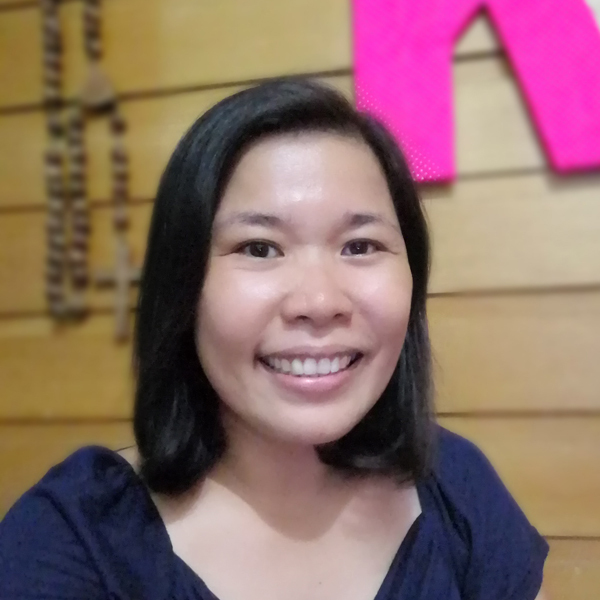 Thanks for the photo, Kuya Bong! 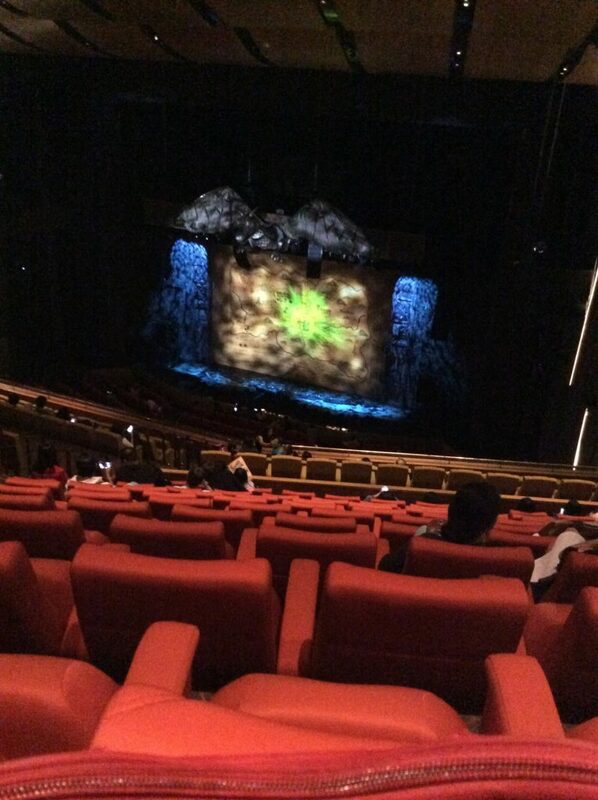 The last time ‘Wicked’ was here was 3 years ago and I was in Manila then but I had no tickets. The run was shorter then and it was held at CCP. Tickets ran out so fast that all that was left were the expensive seats. Lady luck was on our side this time. (Thank Goodness! I couldn’t be happier!) I would have opted to watch ‘Fun Home’ with Lea Salonga performing. I have been a Lea fan ever since she started her showbiz career but I checked the seating arrangement for ‘Fun Home’ and it seemed that the view from the seat was obstructed by railings. My moment with Lea will have to wait for awhile. This is my view at Solaire. It was far from the stage but I got an unobstructed view. To my surprise, my cousin, Bong, arrived a few minutes before the show started. We already agreed to meet after the show but he decided to watch it also. Thank Goodness, we have these photos! I swiped them off his Instagram. Wicked was a lovely, lovely experience! And I love how the theatre scene is alive in the Philippines even the homegrown ones are soaring high (Rak of Aegis, Care Divas, etc). I hope I get to watch more! Not familiar with plays, although I was involved in a musical play before. It’s great though that you had this chance. 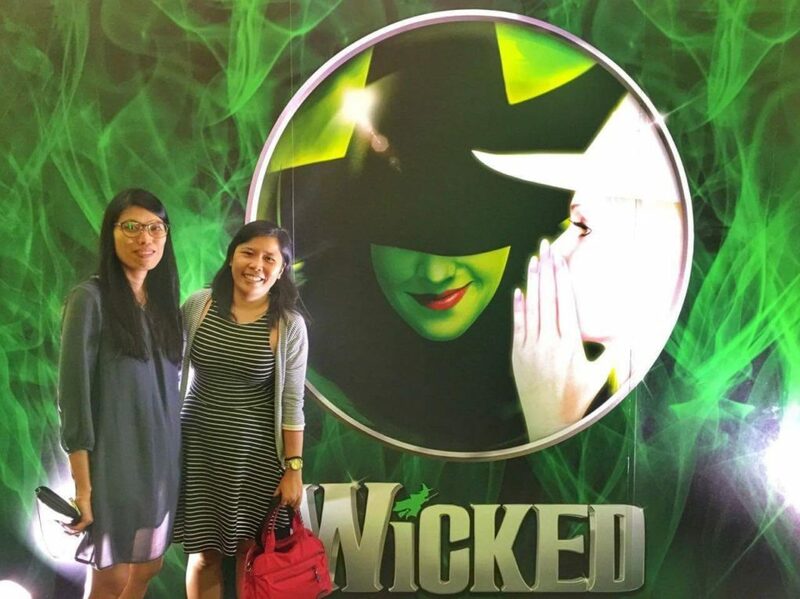 I did not watch Wicked anymore this year, because we already caught the staging at the CCP Main Theater a couple of years back. 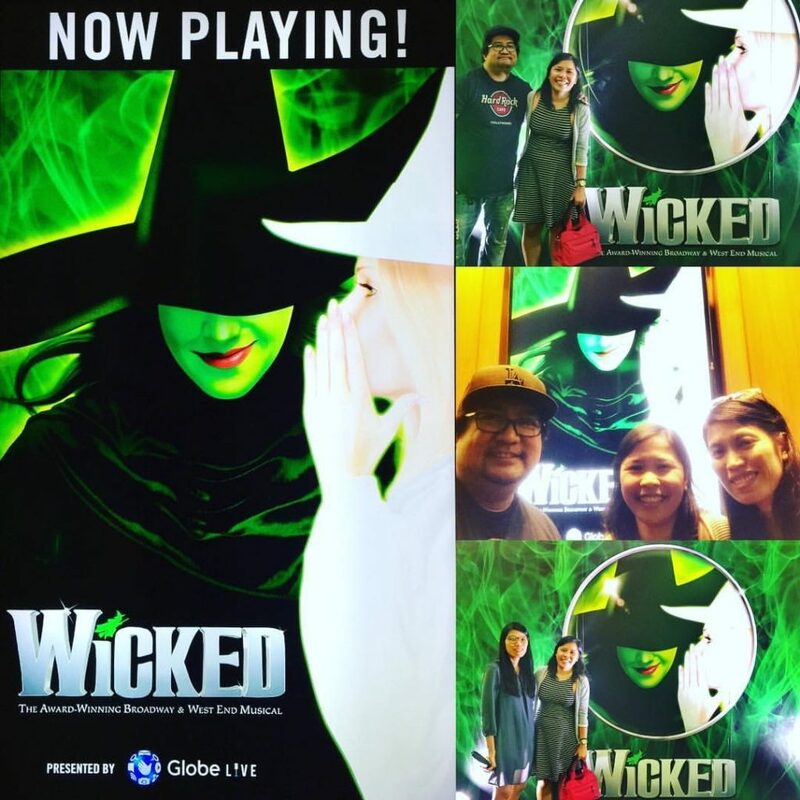 This is such a precious show with its iconic songs we can’t help but sing along with, especially Defying Gravity. I tried not to sing for the sake of my seatmates. hehehe Plus, the performance was mesmerizing so I was glued to the show. It’s nice that wicked is finally back. I haven’t seen it last year so this gives me a chance to see it this year. Oh, it closed already last Mar 19. Glad you managed to catch the movie. 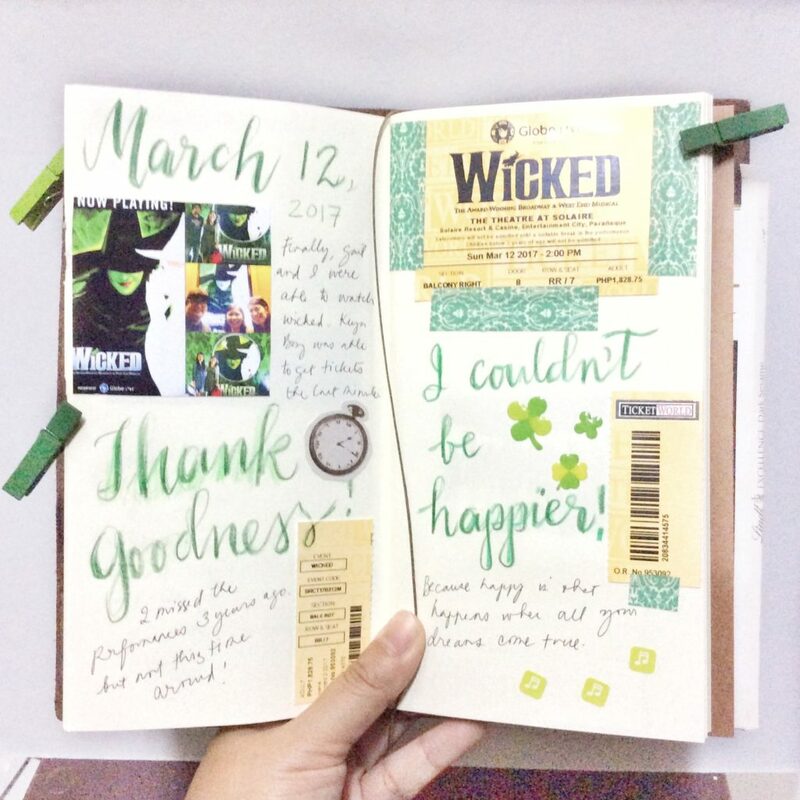 And I totally love your journal with those pics and writings and tickets – its just such a memorabilia!!! It is a stage musical.